We have a variety of sizes as well as Black, Blue, or Red ink available. stamps, loyalty stamps and more! will refill your stamps reservoir for a minimal fee. 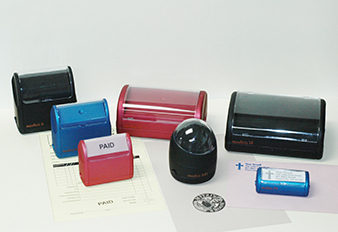 Stamps are produce at our facility in a matter of minutes. Come in today for your custom stamp!